Tanning salon gets new drive thru. December 21st, 2009 | Author: Dave Q.
I’m guessing someone got their accelerator and break confused. Or maybe they really needed a tan. I don’t know. But I had to snap a couple of pictures. I got a couple of looks from other gawkers. I guess it’s not cool to take pics when someone crashes into a store front. I’ll try to remember that for the next one. Looks like Jared fell off the wagon. December 3rd, 2009 | Author: Dave Q.
That’s Jared. Yeah, that Jared. 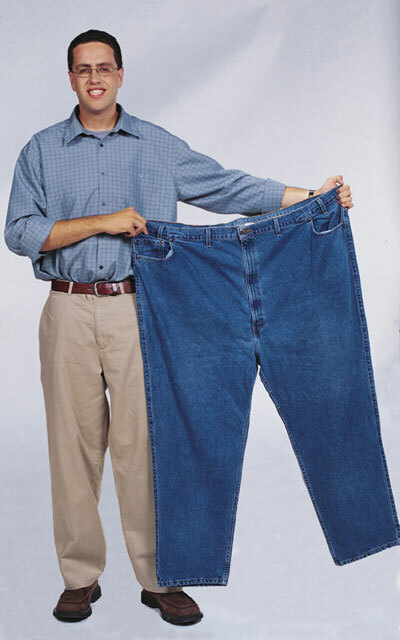 Subway’s Jared. Jared friggin’ Fogle. Mr. I Lost Weight By Only Eating Subway. Yeah. I think he found all that weight he lost. What the hell happened??!? I remember joking with friends back in the day that Subway better pray that Jared didn’t one day keel over from a heart attack. This can’t be good for business. Someone needs to renew his gym membership or something. If I owned any stock in Subway, I might want to consider selling. And then recommend at the next shareholders meeting that they stop offering cookies with those oh so healthy sandwiches. Speaking of fat guys, surely you saw this pic by now. The pic above was taken by a stewardess flight attendant who had to be wondering how the hell she was gonna get the drink cart past that dude. Seriously though, WTF? Big time safety risk. If there was an emergency, can you imagine all the problems the passengers would encounter? I’d be pissed if I died in a plane because a fat guy crushed me during some turbulence. For all I know that guy on the plane could have been Jared.